SKU: 1770. Category: Beef Jerky. 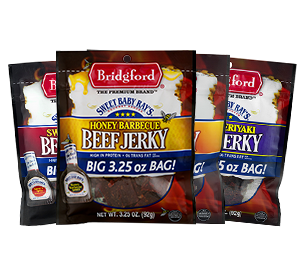 2 Bridgford Sweet Baby Ray’s Original, 2 Sweet Teriyaki, 1 Honey BBQ, and 1 Sweet/Spicy Beef Jerky Packs (3.25oz).